Do you crave more creative time ? Are you traveling through the gray territory of transition? Do you want to reflect on what has heart and meaning for you? Do you desire to rekindle passion in a relationship? Or maybe you just want time to relax, darn it! Book now for Summer and Fall, before the spaces are filled. Don't let the time slip out of your hands--again. Weekday or weekend times available for overnights, 2- and 3-day retreats. Call Lynn at 612-823- 7022 or email info@equinecoaching.com. Prices based on services you choose. Call or email today to Co-design your session! Thank you doesn’t really convey the gratitude for the retreat you created for my friend & me yesterday. There was time, support, space, acceptance, gentle prodding, sharing along with the medicine of the horses and the land. I find myself using the medicine concept for many things now and will be going back over my notes, sitting & writing & reflecting more today on what has been bubbling up. You have a solid way of being that seems to invite possibilities, knowing that whatever it is, is ok. Tap into the wisdom of the horses. Find your authentic voice. Trust your deep knowing. Craft the stories that satisfy your soul. Let the spirit of the horse free your creativity. Spend time reflecting on your most compelling themes and issues. 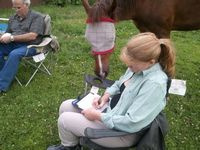 Do writing exercises and find your authentic voice through experiential guidance from the horses. All exercises with horses are done on the ground. No previous horse experience is necessary. Private sessions for writers and artists also available. To connect in a meaningful way with other "old souls"
Horses lead us into the soul of the feminine. 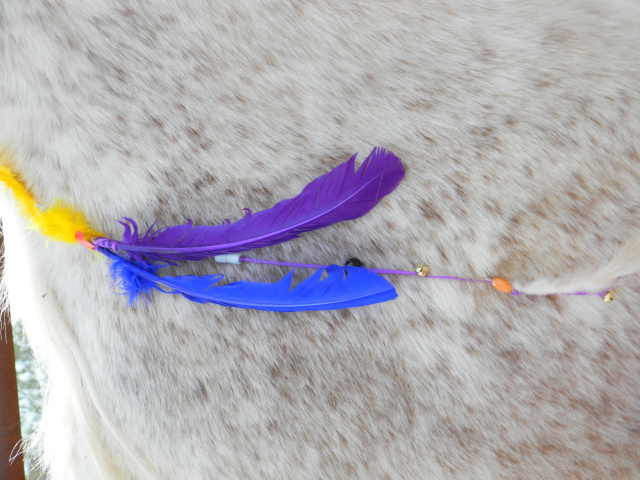 Intuitive beings who reflect back to us what has heart and meaning, horses help us see when we are fooling ourselves and when we are on the right track. Your work with the horses in this workshop will inspire new and effective ways to care for yourself and to bring your life into balance. Two life coaches and several delightful horses guide the process. 2 Days: 10 a.m. day 1 to 2 p.m. day 2. To arrange an exquisite retreat for your group of beautiful Busy Women, contact Lynn Baskfield at info@equinecoaching.com call 612-616-3842. This workshop will help you live life fully in the face of challenging circumstances. Horses guide the rich curriculum with their wisdom, heart and warm presence, deepening insight and making life-affirming choices possible. Let us create a custom demonstration for your group. This demonstration is experiential with participation of volunteers from the audience. It is open to corporations or groups interested in learning more about how equine assisted learning works. We can travel to your location as well as do them out of one of our facilities in the Minneapolis, St. Paul, MN metro area. 612-616-3842 or Email Lynn. Rediscover the wisdom of your body, mind and spirit in this special half-day workshop with horses. Let nature and horses help heal what longs for healing within you. Come back to what has heart and meaning. You will work with horses on the ground doing experiential activities such as observing, approaching, touching and leading. * Horses are large and magnificent animals. Accomplishing a task involving a horse, in spite of fears or limitations, creates confidence and provides metaphors for dealing with challenging situations in life. 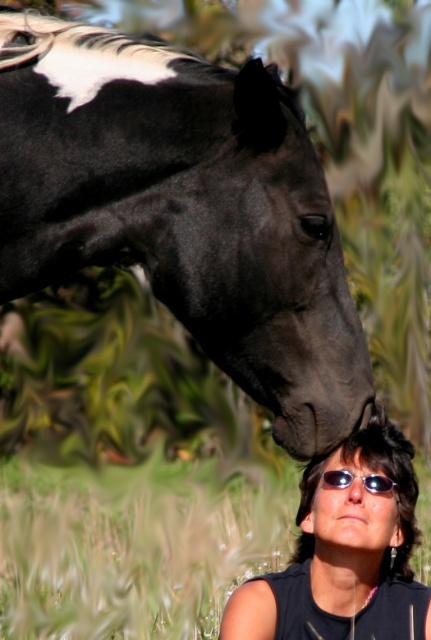 Horses mirror exactly what your body, emotions, energy and thoughts are telling them. 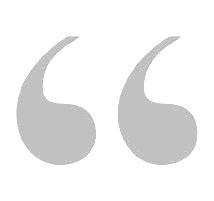 Their non-judgmental honesty makes them especially effective messengers. In addition, the horse’s natural responsiveness to clear intention empowers you live from the place of strength, no matter what your physical condition or life circumstances. Call or email to book this equine experience for your group. Your workshop helped me to open my eyes and access my inner power to move forward. The horse spirit was very powerful teacher. This workshop brought together a deep wealth of business experience/ knowledge with the experiential soul of the horse that achieved results for my life like no other workshop I've attended. I left after two days with a declaration and intention for my business. Thanks. I can't believe how impactful these two days have been for me. I deeply appreciated the unique horse exercises, how they were introduced and broken out. I gained valuable insight from the exercises. Loved working with the beautiful horses—they are truly a mirror of who we are. Insightful feedback from the coaches was very challenging. Made me look a lot deeper into myself. I loved the different perspectives from the different coaches. I really liked how we got into specific issues of individual people. Felt like you did a good job of building trust with the group. I have already been recommending your sessions to friends. I can't believe what I've learned about myself with your help and the horses. It's been a great value for me. I am excited for the future of this work.